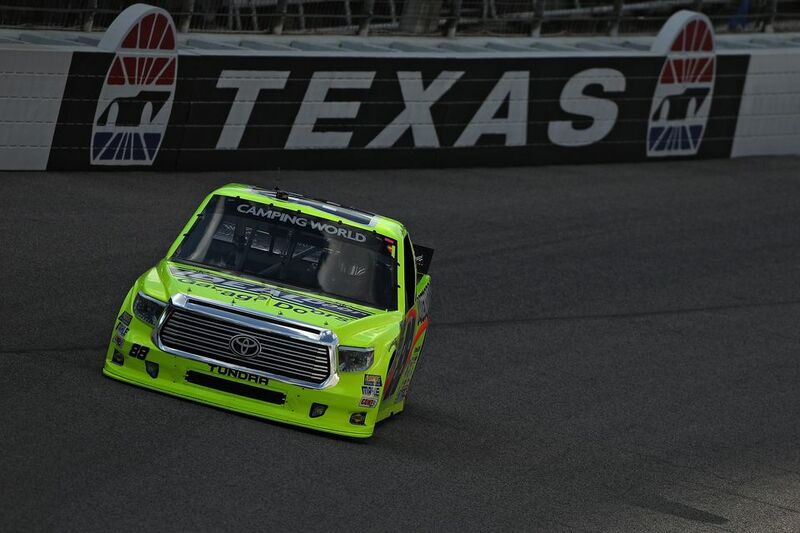 They say that everything’s bigger in Texas and that phrase rings true when it comes to NASCAR races as well. RVers flock to Texas and RVers flock to NASCAR events so why not combine both by RVing to a NASCAR race at Texas Motor Speedway? RVers have long been drawn to screaming fans and loud engines but we know that RVing to a NASCAR event can be a little intimidating. That’s why we want to help you with information on RVing to Texas Motor Speedway. Let’s look at the track itself, RV accommodations at and near Texas Motor Speedway as well and tips and tricks to make your trip easier. You’ll be living big at Texas Motor Speedway in no time. At 1.5 miles long and 24-degree banks, Texas Motor Speedway is one of the fastest non-restrictor plate tracks on the NASCAR circuit. The track is owned by Speedway Motorsports Inc. which also owns other fantastic tracks such as Atlanta Motor Speedway, Charlotte Motor Speedway, and Bristol Motor Speedway. Texas Motor Speedway opened its doors on February 29, 1996, and has been hosting NASCAR sanctioned races since 1997. Texas Motor Speedway currently hosts two weekends of major NASCAR racing in the spring and fall. There are several different ways to RV camp right at Texas Motor Speedway and unfortunately, there are too many options to list at once. Here is a highlight of some of the different RV camping you can expect to find at Texas Motor Speedway. For full information on RV camping at Texas Motor Speedway, please visit their RV and camping page. Wall, interior and paddock sites. Not everyone wants to be rubbing their elbows with neighbors at the crowded RV sites at Texas Motor Speedway. Here are two great nearby RV parks for those want more room and amenities. Located within just a few miles of Texas Motor Speedway, Northlake Village RV Park is a great choice for nearby RV camping. Large RV sites come outfitted with 20/30/50 amp electrical on top of water and sewer connections. Onsite laundry, showers, and baths. Plenty of other great amenities including on-site management, fitness center, large concrete patios, and pet-friendly. Not just a great RV park to be close to the action of Texas Motor Speedway, but a fantastic RV park in its own right. Lakefront RV sites come with full-service utility hookups and are big-rig friendly. Bright and clean shower/bath facilities and laundromat help clean up everything after a fun day at the races. The onsite store is well built out with RV supplies, snacks, drinks, fishing supplies, toys, and more. The Vineyards rounds out its amenities with nature trails, campground activities, boat ramp, onsite rentals, swim beach and more. Find the proper gate that corresponds to your site before getting to the track. You will get in much sooner. Use Texas Motor Speedway’s direction guide for some of the best routes into the facility. Noise curfew at 1 AM on all campgrounds. Bring earplugs as there are many generators running all hours of the day and night. If everything is bigger in Texas, so too are the good times. RVing to Texas Motor Speedway gives you plenty of choices at and around the track to have one heck of a NASCAR RVing experience.